Ceres Henry, known as Diaja, is recognized for storytelling through photography ~ many of which are inspired by current events, Black and African culture, and social disparities. Her work has appeared in Vogue Italia, Huffington Post, and Black Enterprise, to name a few. Diaja takes great pride in creating thought provoking photos that raise awareness of the world around her. In her current exhibit at X Gallery, each portrait has a specific meaning and embodies rich African culture. 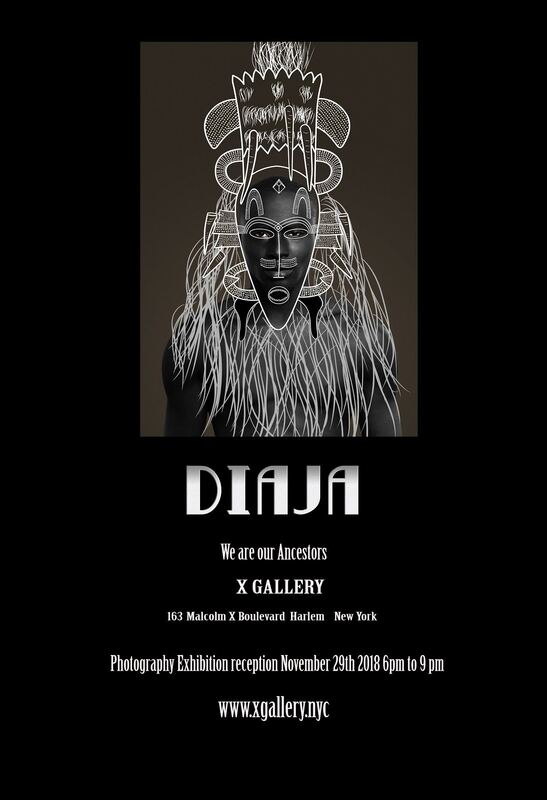 We Are Our Ancestors by Diaja will be on view from November 29th to December 22, 2018 with an Opening Reception on November 29th from 6:00-9:00pm at X Gallery, 163 Malcolm X Blvd (Lenox Ave) at 118th Street in Harlem.